Hyundai has announced donating Rs. 1 crore extending support to the Indian state which has been affected by unprecedented rain that started from August 8, 2018. Hyundai has joined the growing list of auto manufacturers in India who has donated towards Kerala's Chief Minister Distress Relief Fund. The South Korean carmaker has announced donating ₹ 1 crore extending support to the Indian state which has been affected by unprecedented rain that started from August 8, 2018. 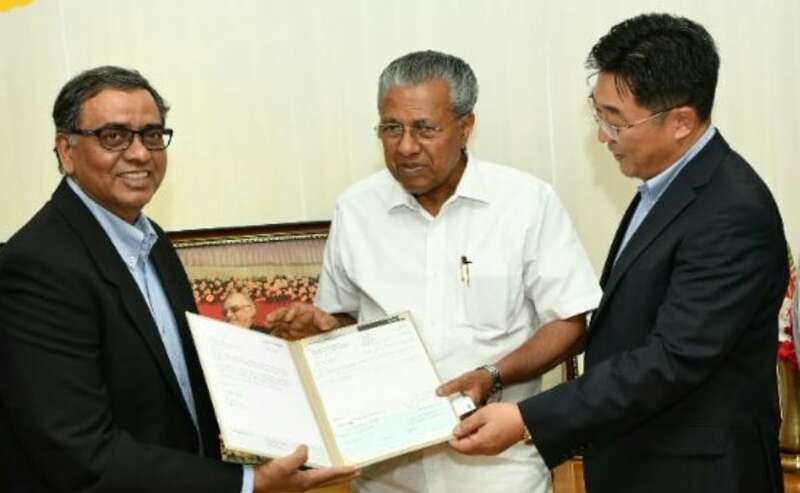 Hyundai India's Sr. Vice President, Stephen Sudhakar J, and Sr. GM (South Zone - Business Head) Y S Chang handed over the cheque of ₹ 1 Crore to Pinarayi Vijayan, Chief Minister of Kerala. The unprecedented rain is said to have caused the overflowing of with about 35 dams, causing heavy floods in several parts of the state. The damages caused to property and crops by the rain and flood is estimated to be somewhere around ₹ 8000 crore, while over 60,000 people have been shifted to relief camps. The death toll in Kerala due to the calamity is said to have risen to 47 over the past week. As already mentioned, Hyundai is not the first automaker to extend support to the rain and flood-affected Kerala. Early this week TVS Motor Company announced a donation of ₹ 1 crore for the Kerala Chief Minister's Distress Relief Fund. Mercedes-Benz India and its dealer partners also came together to make a contribution of ₹ 30 lakh towards the relief fund. On the other hand, other manufacturers like BMW, Volkswagen and Tata Motors have also extended their support towards flood-affected Kerala.